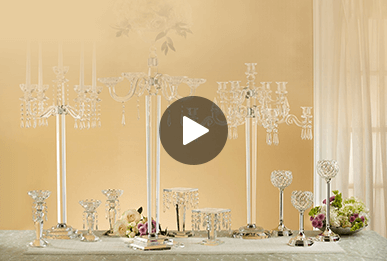 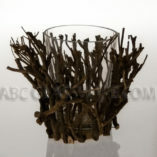 ABC Glassware is always looking for unusual containers for flower arrangements. 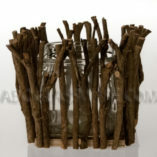 We fashioned natural-looking vases from nailed twigs gathered with wood base. 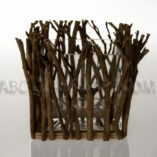 Nature looking twig vase makes a charming holder for garden flowers or a rustic desk organizer. 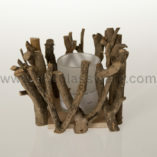 You can also use it as event table centerpieces to add organic nature spirit to your event party.